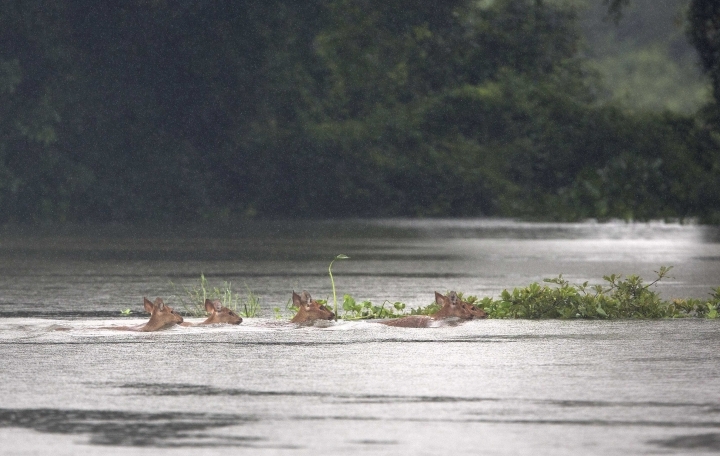 GAUHATI, India — Police are patrolling for poachers as rhinoceros, deer and wild buffalo move to higher ground to escape floods devastating parts of northeast India, including a famed wildlife preserve. 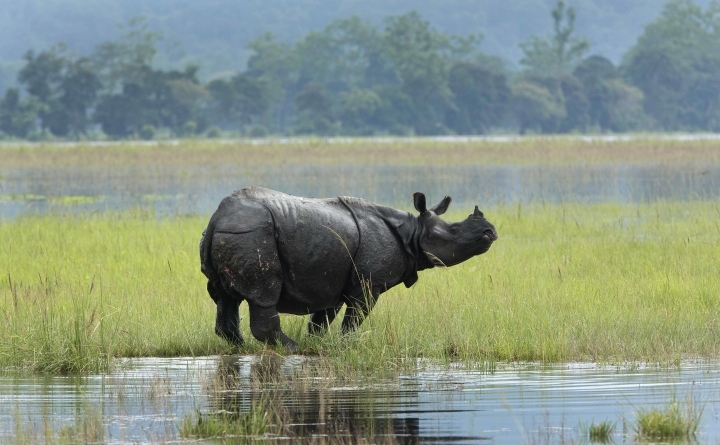 Kaziranga National Park in Assam state has the world's largest population of the one-horned rhinoceros and is home to many other species. 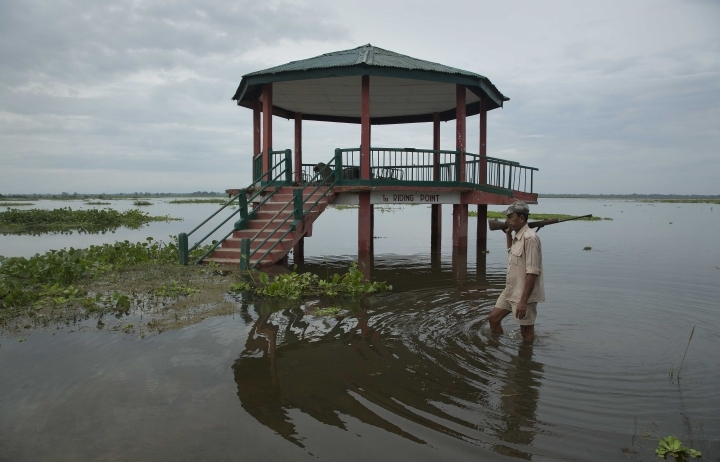 Assam Forest and Environment Minister Pramila Rani Brahma on Monday described the flooding situation in the park as grave after heavy monsoon rains in the past three weeks. 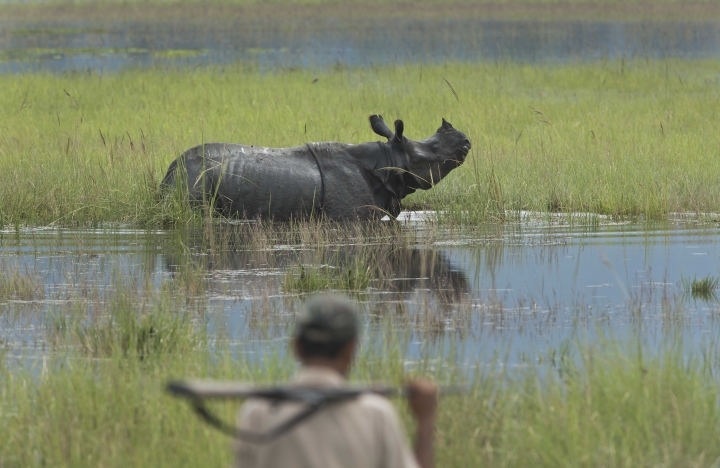 Forest guards have found one carcass of a rhino that died in the floods, and Brahma said vehicles on a highway knocked down six deer over the weekend. 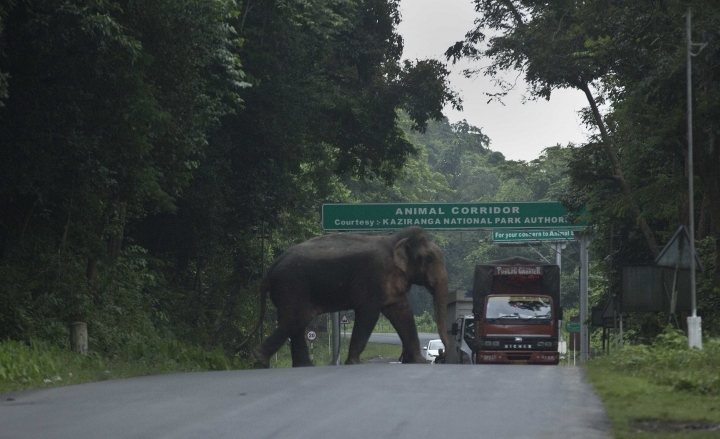 Most forest guard posts in the park have flooded, and police are ordering drones to keep watch on the national park spread over an area of 500 square kilometers (195 square miles). 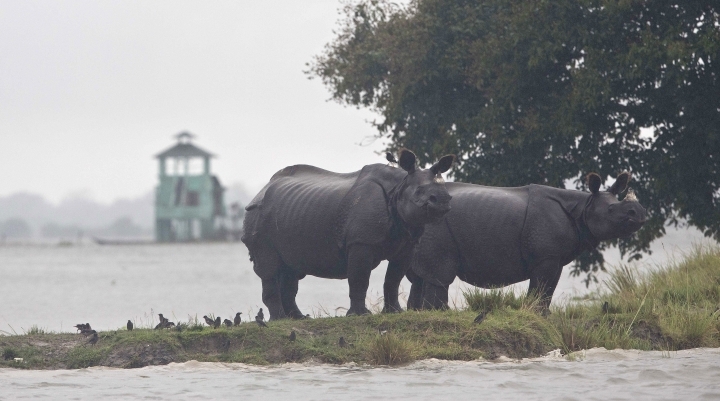 Last year, 17 one-horned rhinos died in monsoon floods, according to the state government. Most were calves that became separated from their mothers during the flooding. Flood levels reached 1.5 meters high (5 feet) in some places in the park last year. 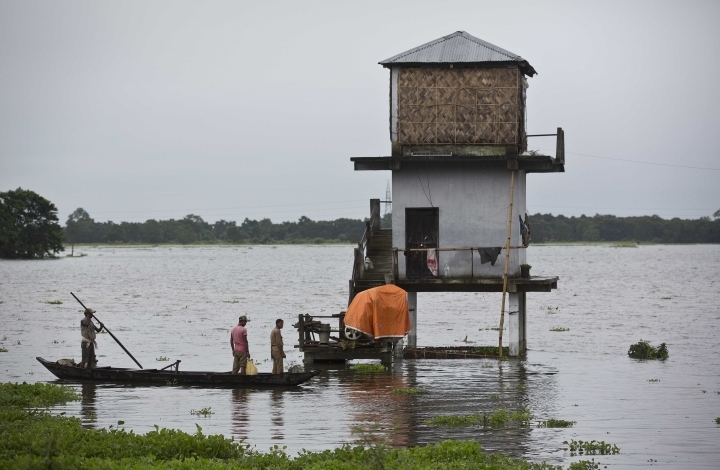 Flooding and landslides in Assam have killed at least 28 people since mid-June, and around 500,000 people have fled their homes in 800 villages across nearly half of Assam's 27 districts, officials said. Nearly 20,000 people have taken shelter in relief camps run by the state government. 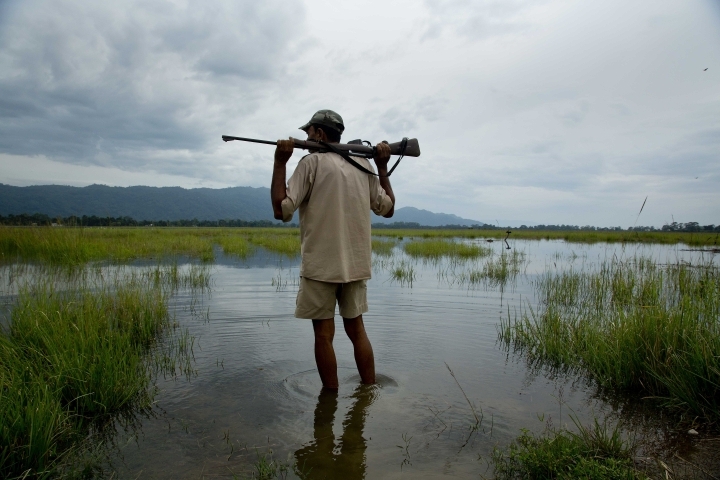 The monsoon season runs from June through September, and deadly floods occur regularly.